It is common for businesses to outsource responsibilities, import supplies, and employ outside vendors and contractors to work on behalf of their firm. You would never hire a new employee without reviewing their resume, conducting an interview, and speaking to references – the same goes for new vendors or contractors. In order to ensure that your company, proprietary information, investments, and clientele are safe, vendor and contractor screening is an absolute necessity, and this screening is best conducted by a private investigator. Vetting vendors and contractors before signing contracts, agreeing to work together, or giving them assignments is simply a smart business move. Protecting your business and all of its elements is essential, and with the amount of fraud and cyber scams that abound today, you cannot be too cautious about a potential partner who may seem too good to be true. 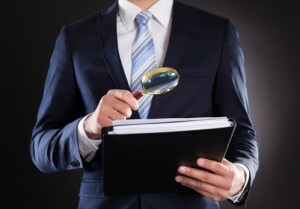 The right private investigator for your vendor and contractor screening is one who approaches this responsibility as they would an employee background check – with serious intent and thorough technique. If there are any red flags about your potential vendor or contractor, a screening completed by a private investigator will uncover them. The first concern might arise if the proposed vendor or contractor is unwilling to submit to the screening process at all. 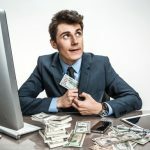 Perhaps they are having money issues they would rather not reveal, or one of their employees has created a problem for their company – these are not necessarily deal breakers and may not reflect on the quality of work they can offer you. However, it’s up to you to make the decision to work with a vendor or contractor based on the information they provide, the details they hold back, and the information a private investigator is able to reveal. In a business partnership, a potential partner’s level of transparency speaks volumes. You will know you’ve made the right decision when you hire a private investigator to conduct an investigation. While vetting every vendor and contractor may feel like a tedious step in what might already be a long and cumbersome search for the right partner for your business, a professionally conducted investigation is a necessary step. If your company aligns with the wrong vendor or contractor, your reputation, profits, level of trust, safety (and that of your clients and customers), and success are all on the chopping block. Take the time to investigate the veracity of a vendor’s claims, a contractor’s successes, and the legitimacy of their references. You could take someone at their word and leap into the unknown, but it is a far safer and secure bet to hire a private investigator to do the important homework of conducting background checks and other scans. You also want to conduct screenings in order to reassure your clients and customers that your third-party offerings are legit and worthwhile. A professionally conducted private investigation confirms the known and reveals the unknown so that you are not blindsided by bad behavior or false promises of a vendor or contractor. These screenings are an industry-recognized sales tool, as your clients want to be certain that you – and they – are using only the most professional, upstanding vendors to complete the work or provide the services in question. In order to make your investigations and background checks economically worthwhile, take the time to consult with your private investigator and choose the most appropriate vendor and contractor screening option for your circumstances. 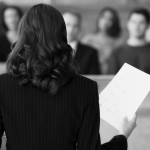 Basic criminal record searches: Often the appropriate choice when vetting employees or contractors who would ultimately pose minimal risk of exposing your firm to potential damage. Advanced level of vetting: Extensive searches are often considered for vendors or contractors intended to be long-term or major partners within your business and day-to-day operations. Independent screenings: Every vendor or contractor can be separately screened – even within a contracted company – based on their role within your organization. Why Hire ASG for Vendor and Contractor Screening? 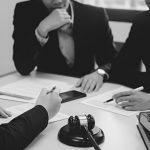 In today’s legal environment, third-party liability resulting from the actions of those you hire make vendor and contractor screening an absolute necessity. Not screening could certainly lead to regrets and often futile efforts to rebuild a reputation or business operations that have been damaged by unsavory vendors or contractors. At ASG, we offer private investigative vendor and contractor screenings on an “a la carte” basis. Standalone searches ensure that clients receive the services they need and do not dedicate a budget to searches that are not necessary or cost-effective. For more information on vendor and contractor screening services, contact a member of our Background Check Service Team.